The Connections Conference was full of new ways, and ideas for connecting existing components of your digital lifestyle. New ways to network your TV, computers, phones, stereos and anything else you may have lying around the house. Intellon, a company I had never heard of, held a boot at the conference. I figured that I’ll pass them up and go onto a company which I was more familiar with until pretty flashing LEDs drew me in. Intellon was giving out flashing LED pendants that I could not live without. So I moseyed on over to see if I could score one. 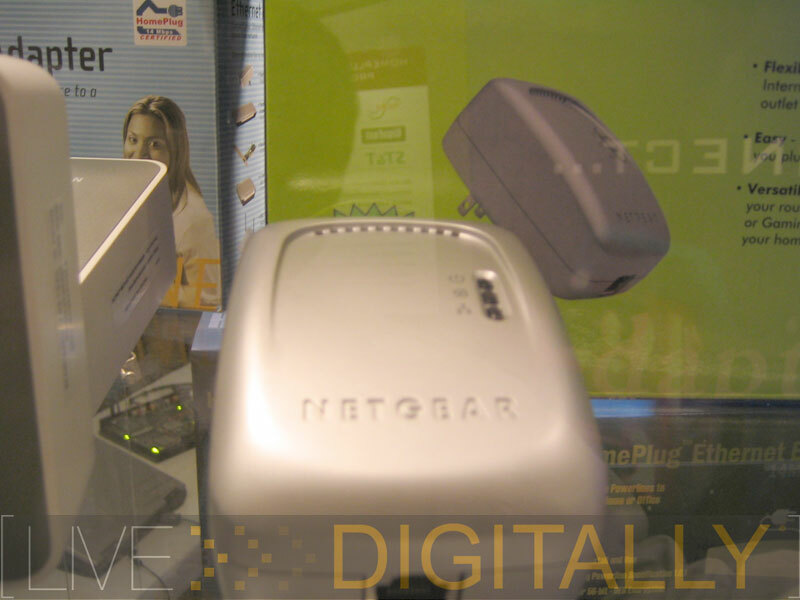 After making myself a walking flashing “HomePlug Powerline Alliance” advertisement I noticed some Netgear products that I had not seen before. Further inquiry and I found Linksys, BellSouth, Belkin and others just to name a few. 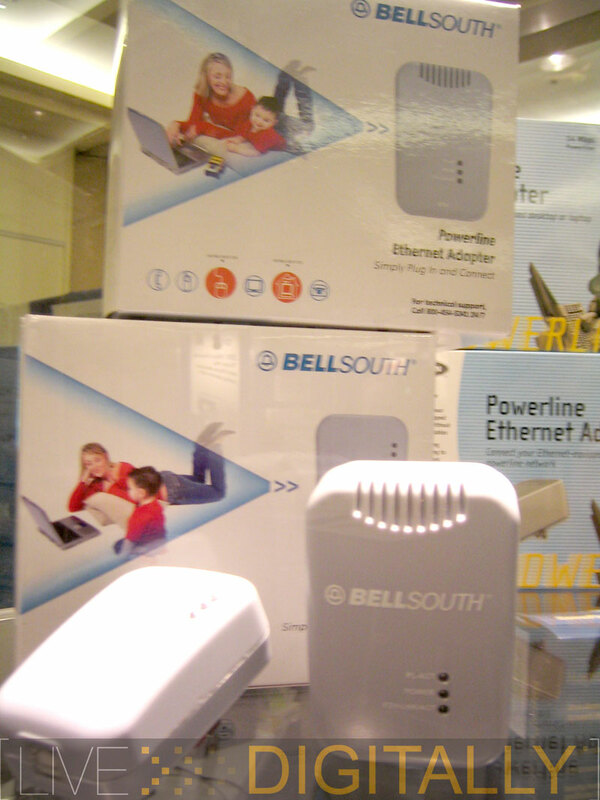 Intellon invented the technology behind HomePlug technology. What does this mean to you and me? Anywhere that you have a power outlet, you have network. 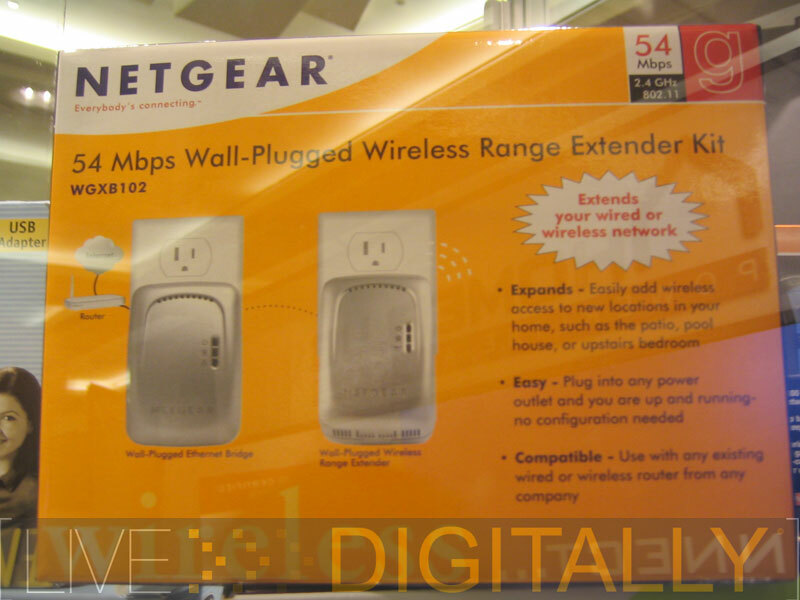 Wireless access points can be used with this as well, just plug one in wherever you want Wifi. This makes all too much sense, we have wires running through our house already, so why not use them? The HomePlug Alliance has about 30 members with participants as well as adopters. Some of these companies include Belkin, Motorola, Mitsubishi Electric, Broadcom, Linksys, Sanyo, Netgear, and Siemens just to name a few. these have been around for awhile and are even available at your local compusa or frys. The biggest reason to continue with CAT5 is bandwidth. EoP currently has a maximum speed of 14Mbit, but it is a great addition to a wireless network for those PCs down in the basement that don’t get a strong enough signal.